Melia Robinson Business InsiderPolice investigate YouTube HQ following the shooting. 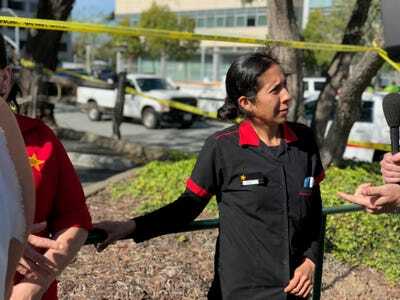 On Tuesday, a shooting at YouTube headquarters in San Bruno, California left at least four injured and one person dead. Business Insider reporters were on the scene in the aftermath of the terrifying incident, as YouTube employees and onlookers waited for police to give the all-clear and certify that they were safe. YouTube employees and onlookers in San Bruno were evacuated from the office buildings and into a parking lot after the shooting began just before 1pm. At around 2:35 p.m., police told Business Insider reporters on the scene that there was an active shooter situation and that they would not let anyone leave the parking lot. “No one can leave. Thank you. There is a suspect outstanding. You guys are in a safe space,” an officer told them. YouTube CEO Susan Wojcicki evacuates the premises with other YouTube employees as law enforcement continues to investigate the scene. “Pls stay secure as police clear building and pls follow police instructions to safety. 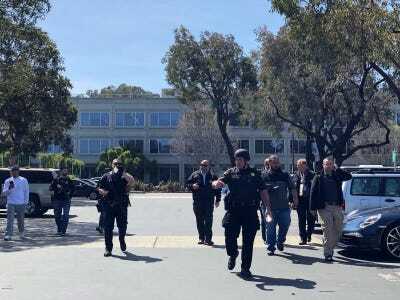 We have full team here to get you to safety,” said Wojcicki in a note to staff. 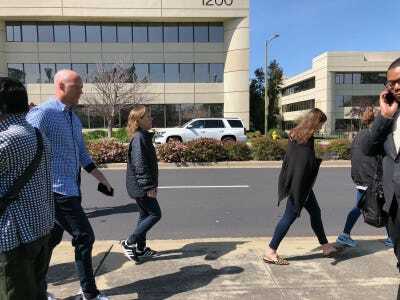 The memo was first reported by Recode. An official at SF General Hospital confirmed in a press meeting at 3:30 p.m. that they are treating three people for gunshot wounds: two females, one in serious condition and one in fair condition, as well as one male in critical condition. Employees waited for more information, as police continued to arrive. 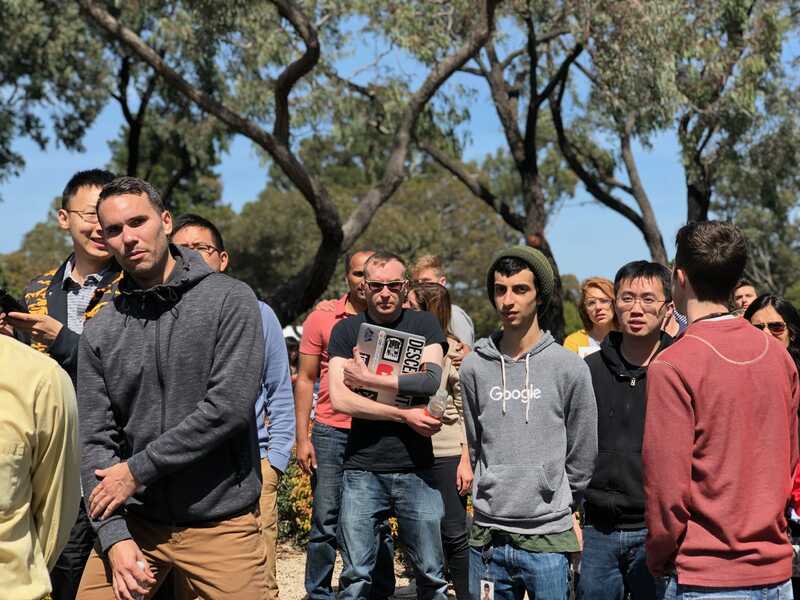 Police officers thoroughly investigated the YouTube campus. 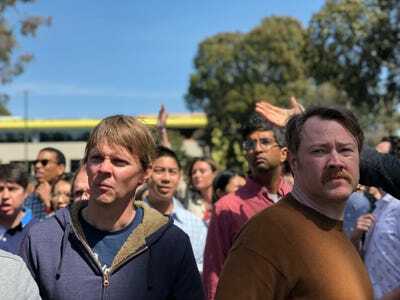 They prevented employees from reentering the buildings while they searched. The FBI was called in, as well. 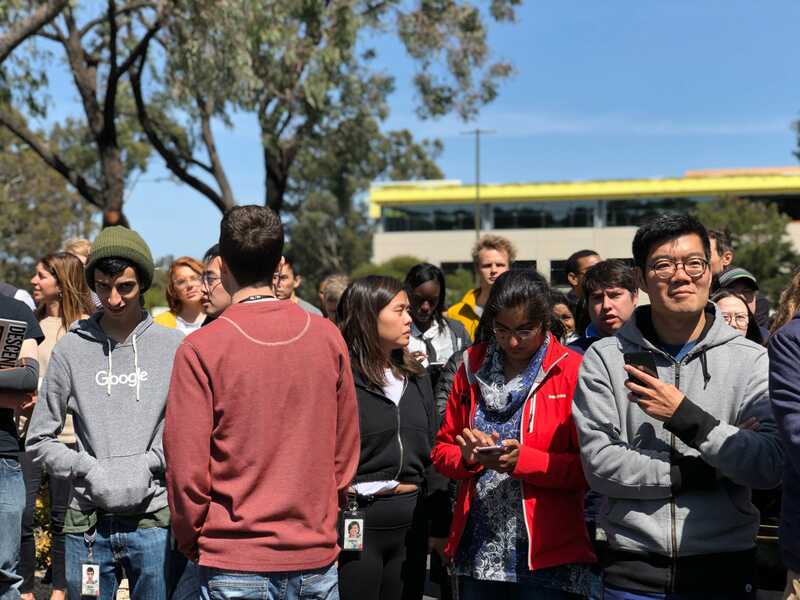 YouTube employees and other onlookers shared their own photos on Snapchat, as shown by the SnapMaps feature. 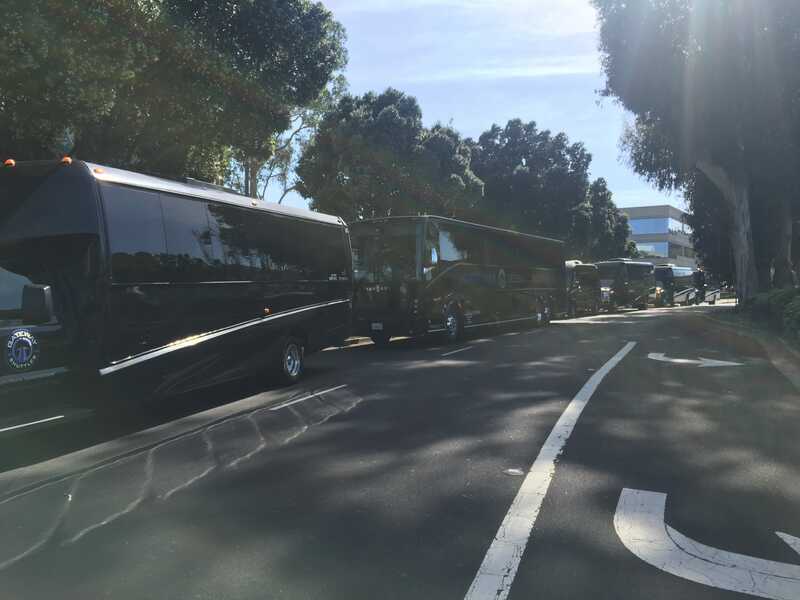 Charter buses arrived to shuttle YouTube employees away from the campus, after the scene was declared safe by law enforcement. 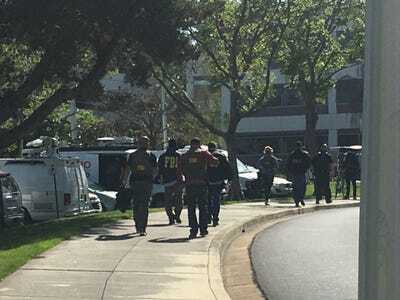 However, employees apparently weren’t allowed to return to their offices amid the ongoing investigation. Evacuees were patted down by police before being allowed to leave.